The growth of internet shopping has been massive. With two thirds of people now owning a smartphone, online retail is set to continue to skyrocket. 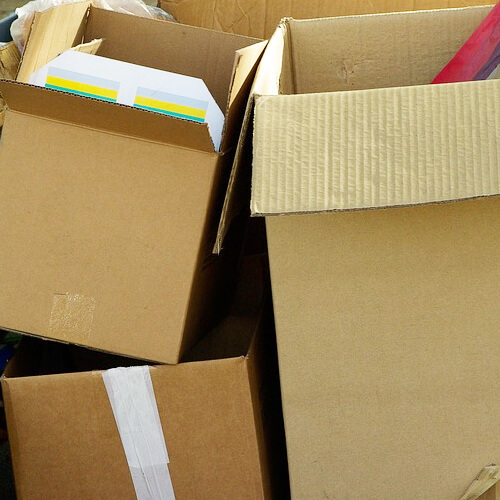 Unfortunately, not all of the packaging industry is keeping-up with the technological revolution, as demonstrated by a recent survey by Macfarlane, which found that almost one in three parcels despatched by UK internet retailers was unfit for purpose. The ecommerce study reveals nearly half of online packs contain too much packaging material, something that will be familiar to anyone who’s ordered a CD from Amazon to discover it arrives in a carton big enough for a small family car. In the study, Macfarlane ordered 119 items from internet retailers in a range of sectors including: health and beauty, homeware, gifts, fashion and electronics. The study found that 30% of parcels despatched by UK internet retailers could be unfit for purpose, with as many as 10% containing damaged contents as a result. A huge 41% contained too much packaging material that would need to be disposed of or recycled, but only 53% of the packs assessed used packaging materials that were fully recyclable. While most packages were judged to be clean (84%) and dry (80%), 15% were dented, 8% were crushed, 8% were ripped and 4% appeared to have been opened or tampered with during transit. Almost a quarter (24%) of the packages assessed were found to be difficult to open, with assessors often having to resort to scissors and knives to access the contents, while 19% had too little packaging. The research found that 55% of packages had no information on how to return the item and the packaging was not reusable. Additionally, 61% of the packs had no branding (inside or out) and 55% did not reflect the image of the brand. The industry is clearly missing a trick here, as well as risking alienating consumers. True, it’s uneconomic to stock a pack designed for every SKU, but as consumers are increasingly concerned about waste, why send them excessive packaging which they have to dispose of? Secondly the branding opportunities offered by secondary packaging: usually corrugated, are numerous and brands are wasting a great chance to communicate with their customers and build brand loyalty.